Apple today revealed upgrades for FCPX and Safari that enable you to work with and view 360 videos. 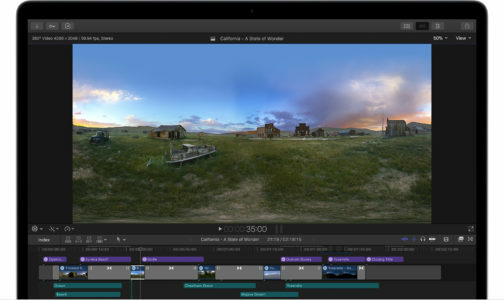 This long-awaited good news for 360 editors who love their Mac. 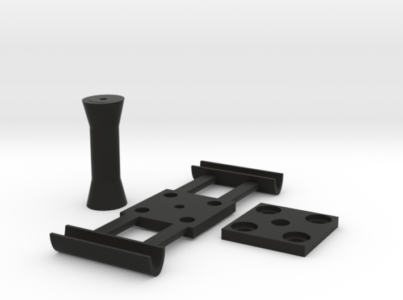 But we have already had reports from GoPro Fusion 360 users who have not been able to import 5.2K 360 videos. This is troubling since Apple states that the new upgrades will allow 360 video editing up to 8K. We will stay on top of this developement and report back any more news about this glitch. 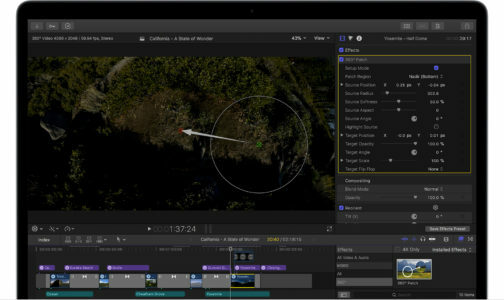 In addition, there are other improvements including FCPX now allows editing two key HDR formats, Rec. 2020 HDR10 and Rec. 2020 Hybrid Log Gamma, and gives you both HDR-compatible scopes (to identify how bright your video will get) and HDR monitoring on external displays through an I/O device. And there are now advanced pro color grading tools built right into the app. 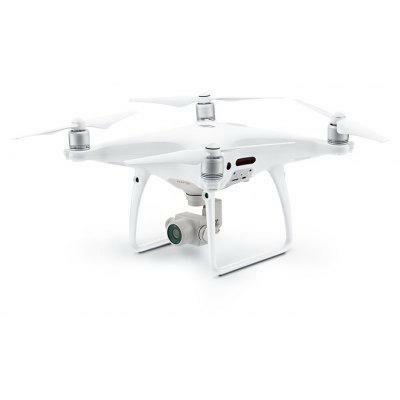 With these, you will be able to fine tune fine-tune brightness, hue, luminance, saturation and white balance through an inspector. Below is the full release from Apple. You can record 360° footage with multiple cameras mounted in a special rig. You can also use a single 360° camera that has multiple lenses—the lenses record different camera angles that slightly overlap. Before you import 360° footage into Final Cut Pro, you must create a single, seamless 360° image, referred to as a stitched image. Some 360° cameras do this automatically, so you can start editing right away. If you recorded the footage with multiple cameras, then you must stitch the footage together using third-party software. After you’ve imported the 360° media, it’s a good idea to check your 360° media’s metadata tags. These tags affect how the clips behave in Final Cut Pro’s viewers, and how Final Cut Pro creates projects based on the clips you import. In most cases, your camera will automatically tag your media. 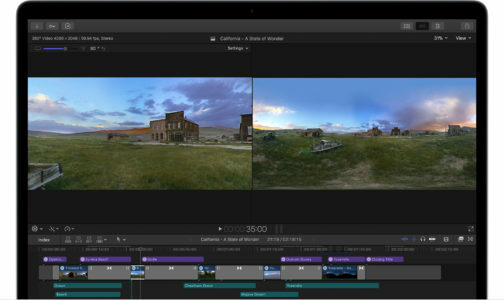 In Final Cut Pro, you can view and navigate 360° clips in a dedicated viewer. Choose View > Show in Viewer > 360º. The 360° viewer appears to the left of the viewer. To view the clip in full 360°, select the clip in the browser, then click and drag in any direction in the 360° viewer. You can also navigate in the 360º viewer when you’re playing back a project. When you navigate in the 360° viewer, you’re not changing the master orientation of the clip or affecting the final output of the clip.